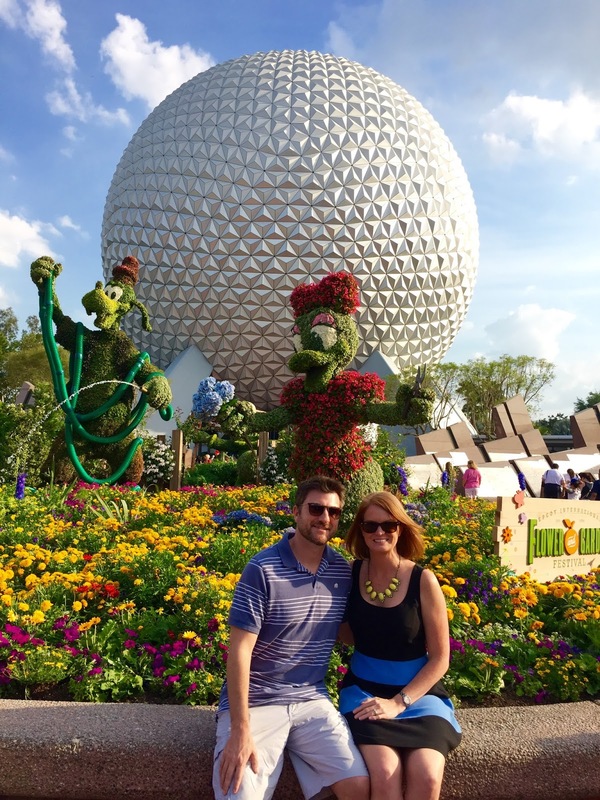 Both my husband Gabe and I decided to have our birthday dinners at Epcot this year. A few of my non-Disney obsessed friends found this odd and I realized they had no idea what amazing culinary options Epcot offered. Epcot is truly my favorite place on Earth and I am fortunate enough to live less than an hour away. 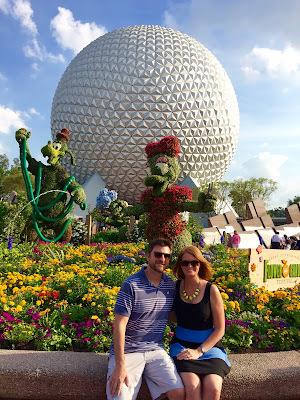 We each selected one restaurant inside of Epcot to have our birthday dinner and made reservations 180 days in advance. Along with being Premium Annual Passholders, we also invested in the Tables in Wonderland dining discount card. This card is available for purchase to Florida Residents, DVC members and passholders. It's $125 ($100 for passholders) and saves 20% on food and beverage, including alcohol, at over 100 participating restaurants at the Walt Disney World. I have met so many people who are passholders and don't know about this card. Within one weekend trip, our Tables in Wonderland card paid for itself. 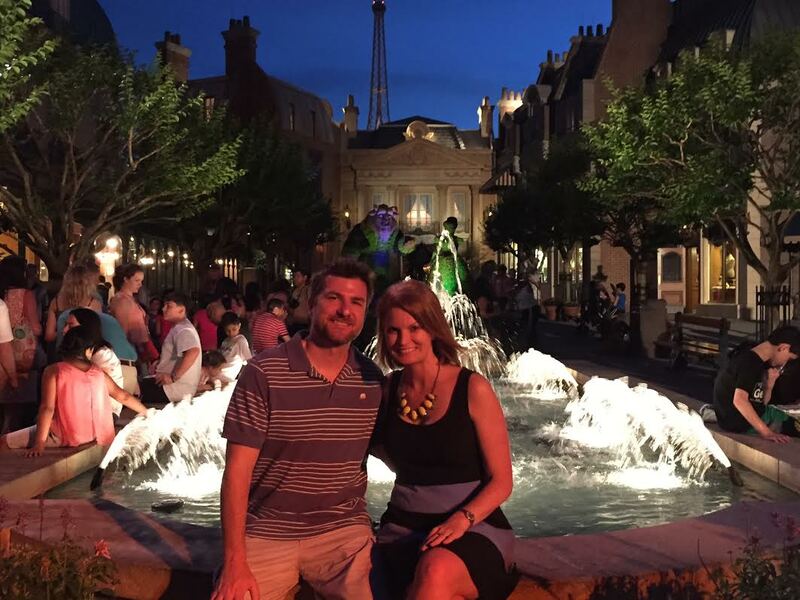 For Gabe's birthday, he chose to eat at Monsier Paul, the fine dining restaurant located in France world showcase. We spent some of our honeymoon in Paris and had the best meal of our lives at 58 Tour Eiffle, inside of the Eiffle Tower. We were very impressed by our meal at Monsier Paul and would come back again for a special occasion. This is one of the few restaurants who do not accept the Tables in Wonderland Card. Our meal was $120 for two entrees, dessert and wine. Pricey, yes - but well worth it for a special night. I ordered the Homard forestier (Maine Lobster with Sautéed Mushrooms) with mollet quail egg and creamy black truffle bouillon. 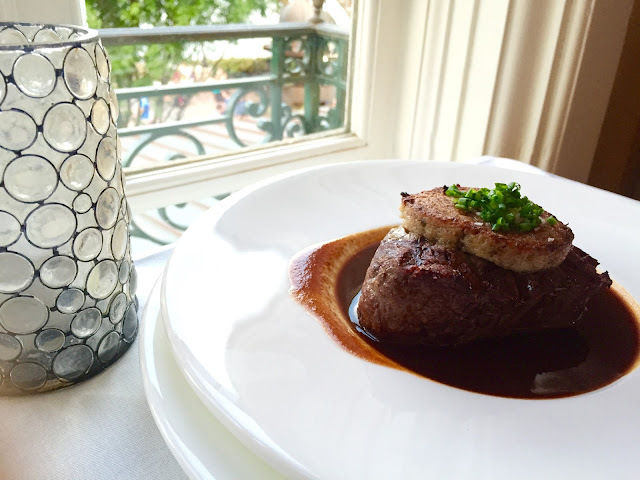 This dish is offered as an appetizer for $29 or as an entree for $49. The lobster was poached to perfection and the black truffle bouillon was delicious. It is a very rich dish so be prepared for that. The birthday boy ordered Filet de boeuf grillé forestier (Grilled Beef Tenderloin) with mushroom crust, mashed potatoes, Bordelaise sauce. I barely got a bite of his filet before it disappeared from the table. The one surprising piece of this entree was the mashed potatoes (not shown) were truffle mashed potatoes. When our meals came out, we thought the strong truffle smell was from my dish - but it was actually his. Here is the menu at Monsieur Paul. 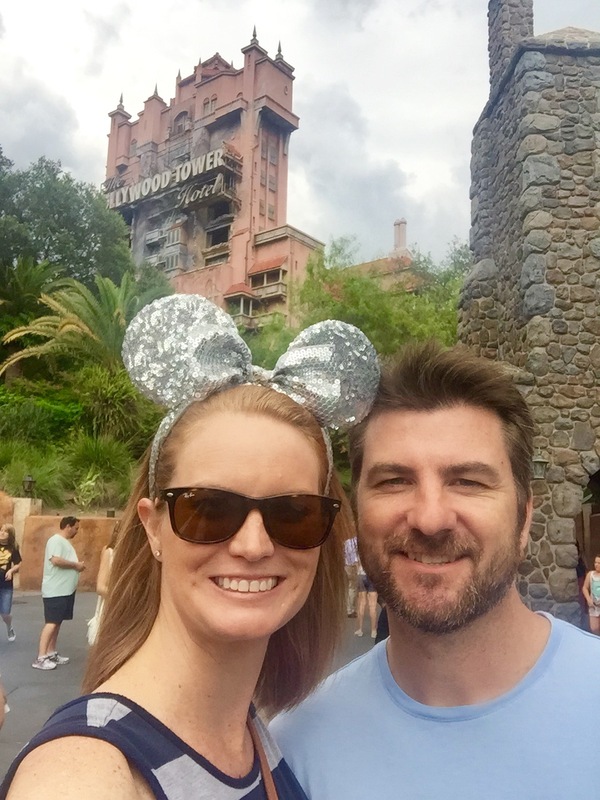 For my birthday, we started the night off at Hollywood Studios so we could quickly ride Rock n Roller Coaster and Tower of Terror. When I say quickly, that is exactly what we did - rode both rides (which we had fast passes for) and left for Epcot. I chose Le Cellier for my birthday dinner. Oddly, this was both Gabe and my first time exploring the Canada world showcase. I had no idea how beautiful it was back there. It may be the most peaceful place at Disney. Le Cellier accepts the Tables in Wonderland card, so we were able to save 20% off of our meal. We got a starter, two steaks and wine, after the discount, our meal was $100. It was dark inside of the restaurant so I apologize for my grainy pictures. 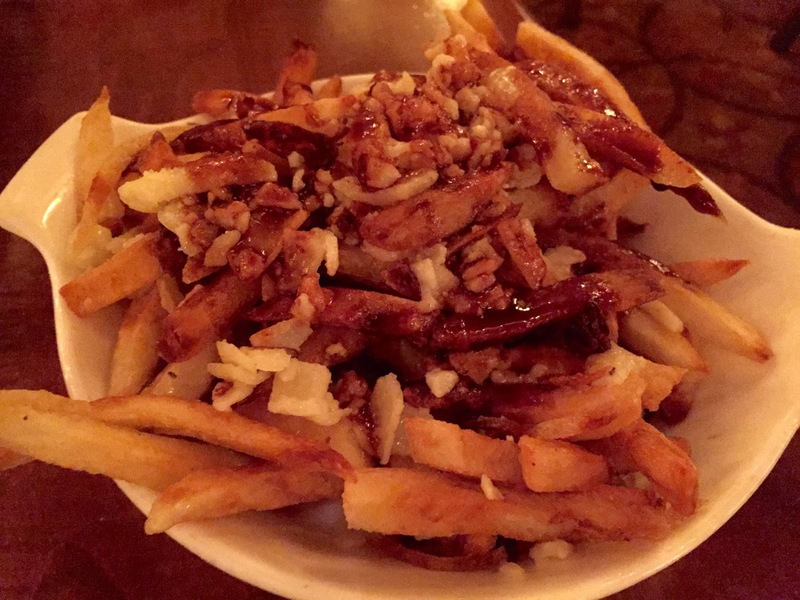 We started off with Le Cellier Poutine - Canadian Cheddar, Black Truffle, Red Wine Reduction. I could honestly eat this as an entree on it's own. We ordered way too much food. While it was delicious, we really didn't need this with two entrees. I ordered the Le Cellier Filet Mignon - AAA Canadian Beef Tenderloin, Wild Mushroom Risotto, Heirloom Toy Box Tomatoes, Truffle-Butter Sauce. I have had samplings of this famous dish during Epcot Food and Wine Festival so I was very excited to try the full size dish. I was not let down. Not only was the steak delicious, the mushroom risotto was some of the best I've ever had. And that truffle butter sauce, my oh my. 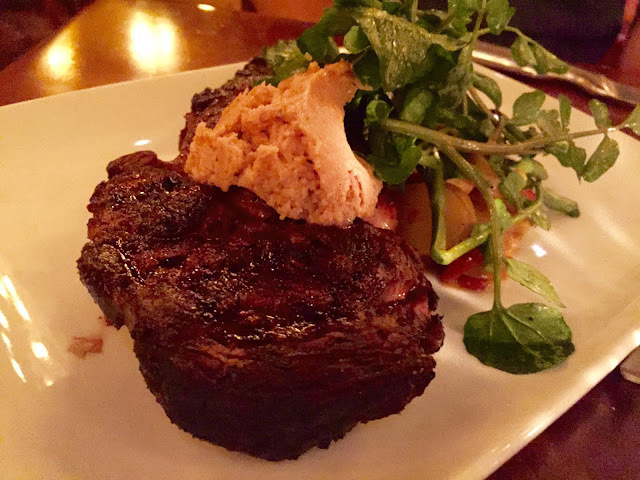 Gabe ordered the Dry-Aged Boneless Rib-Eye 14-Day Dry-Aged, Watercress, Piquillo Peppers, Fingerling Potatoes, Sherry-Thyme Vinaigrette, Garlic Butter. This steak was also cooked to perfection and had an amazing flavor to it. I am typically a filet girl but would have been equally as happy if this were my dish. 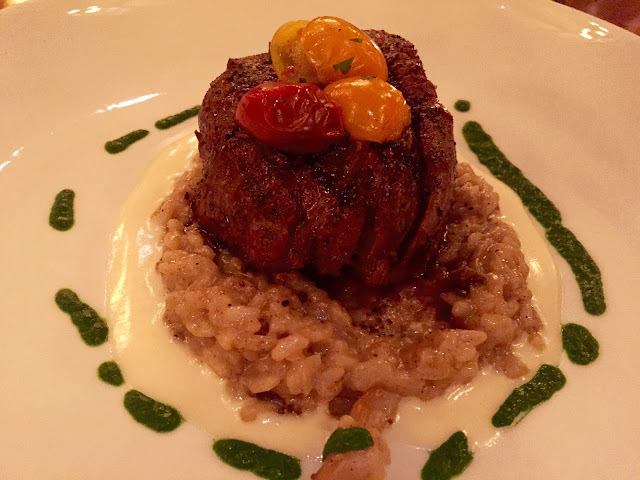 You can check out the Le Cellier menu here. 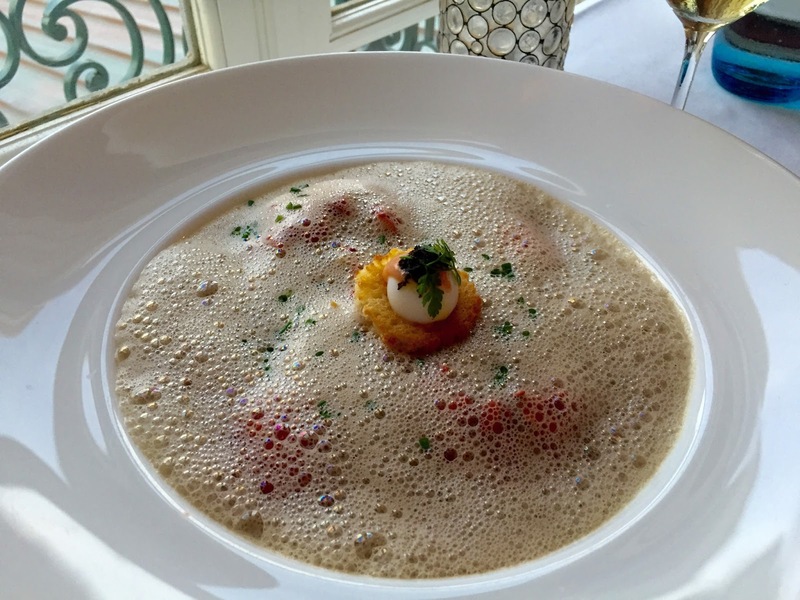 We had two amazing meals at two of Epcot's most prestigious restaurants. If I were to choose a favorite? Monsieur Paul. Both of the meals were excellent but I enjoyed the unique selections available at Monsieur Paul. What has been your favorite meal inside of Walt Disney World Resort?